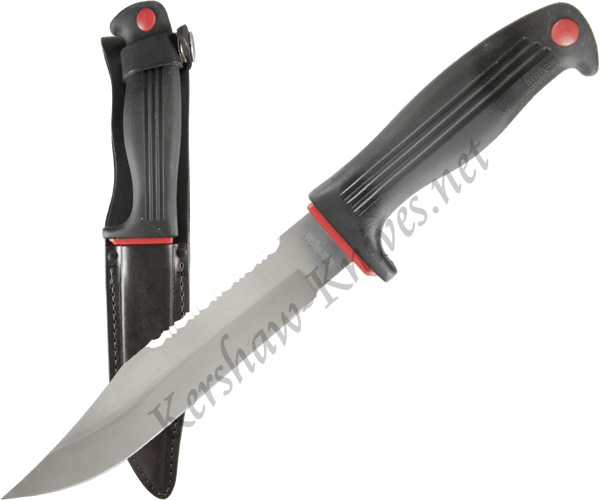 You will find plenty of functionality with the Kershaw Roughneck Hunting Knife model 1010. This knife features a full tang AUS6A stainless steel blade. Serrations on the spine of the blade help you get through stubborn cartilage and bone. The copolymer handle is soft and provides comfort to reduce hand fatigue. A leather sheath with a belt loop is included.